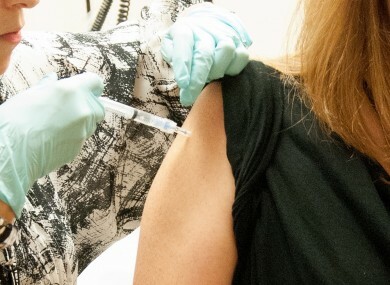 SCIENTISTS IN FLORIDA have created a new drug candidate that is so potent and universally effective that it could work as part of an unconventional vaccine. The research shows that the new drug candidate blocks every strain of HIV-1, HIV-2 and SIV (simian immunodeficiency virus) that has been isolated from humans or monkeys – including the hardest-to-stop variants. Scientists from more than a dozen research institutions were involved in the research conducted at the Jupiter, Florida campus of The Scripps Research Institute (TSRI). When HIV infects a cell, it targets an integral part of the body’s immune system, fusing with the cell and inserting its own genetic material. It then transforms the host cell into a HIV manufacturing site. The new study builds in previous discoveries which show that a co-receptor called CCR5 contains unusual modifications in its HIV binding region and that proteins based on this region can be used to prevent infection altogether. Farzan and his team developed a new drug candidate so that it binds to two sites on the surface of the virus simultaneously, preventing entry of HIV to the host cell. The team also leveraged preexisting technology in designing a delivery vehicle—an engineered adeno-associated virus, a small, relatively innocuous virus that causes no disease. Once injected into muscle tissue, like HIV itself, the vehicle turns those cells into “factories” that could produce enough of the new protective protein to last for years, perhaps decades, Farzan said. He said when original work was done on CCR5, people thought it was interesting but no one saw the therapeutic potential. Email “Potent drug brings us closer than ever to a HIV vaccine ”. Feedback on “Potent drug brings us closer than ever to a HIV vaccine ”.